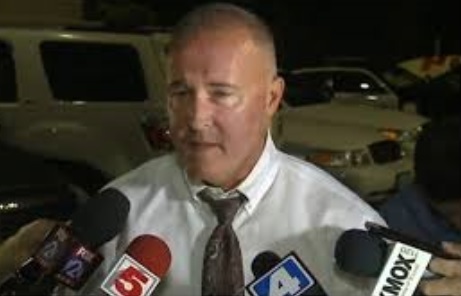 St. Louis County Police Chief Jon Belmar says he is “heartbroken” about the riots in Ferguson overnight after the release of the St. Louis County Grand Jury report that did not indict Ferguson Officer Darren Wilson. A department report says 67 people were arrested during riots and demonstrations last night. Only eight did not live in the St. Louis/St. Louis County area. Most of those eight have addresses in the Metro East area. Only one was from as far away as Chicago. Belmar refers to Ferguson as “a very dangerous environment,” and says, “Unless we bring 10,000 policemen in here, I don’t think we can prevent folks that really are itent on just destroying a community,” he says. Twenty-nine of those arrested are accused of burglary. Ten are accused of receiving stolen property. Seven are facing charges of unlawful assembly and seven more are suspected of trespassing. Belmar says a dozen businesses and at least two police cars have been burned. 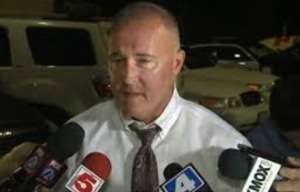 Although he says he heard about 150 gunshots, he has heard no reports of anybody being shot. A 74-year old man who became a carjacking victim during the disturbances was badly injured when the carjackers ran over his legs. Governor Nixon is calling more National Guard members to duty in the region.